The roof is one of the largest and most durable features on residential properties and is designed to last for many decades. Over time, the materials can begin to wear down and offer a lack of protection on the home. If you suspect that your roof is reaching the end of its lifespan, look for these signs that it’s time to replace your roof. One of the most common signs that you need to replace your roof is if there are leaks that develop throughout the year. You may decide to hire a professional to patch the roof and make the necessary repairs, but it can add up throughout the year and is a sign that the structure is failing. If the roof looks like it’s not straight and is beginning to sag, it means that the materials have deteriorated and are no longer holding up. There’s a heightened risk of the roof caving in if too much pressure is applied during high winds or heavy rain. If you notice that there are missing or loose shingles on your roof deck, it’s a sign that the materials are no longer remaining secure. You may also find roofing materials in the yard after a heavy storm, which can lead to exposure on the building and can put your home at risk of developing leaks. It’s necessary to inspect the roof boards to determine if there is any light coming through, which means that you need to replace your roof. You can also consider spraying water with a hose on the structure during a sunny day to determine if any moisture seeps into the building. One of the most effective ways to determine if it’s time to replace your roof is to consider its age, according to angieslist.com. Each type of roof has a different lifespan depending on the materials that are used. Roofs with asphalt shingles last an average of 25 years and metal roofs can last up to 50 years. Homes with slate tiles are known to be the most durable and are prone to last 80 to 125 years, depending on how well the roof is maintained. Check the flashing on the chimney to determine if it’s lifted, which is a sign that the materials are no longer as durable. Flashing that isn’t secure on the roof deck can allow moisture in and will lead to damage on the inside of the building. 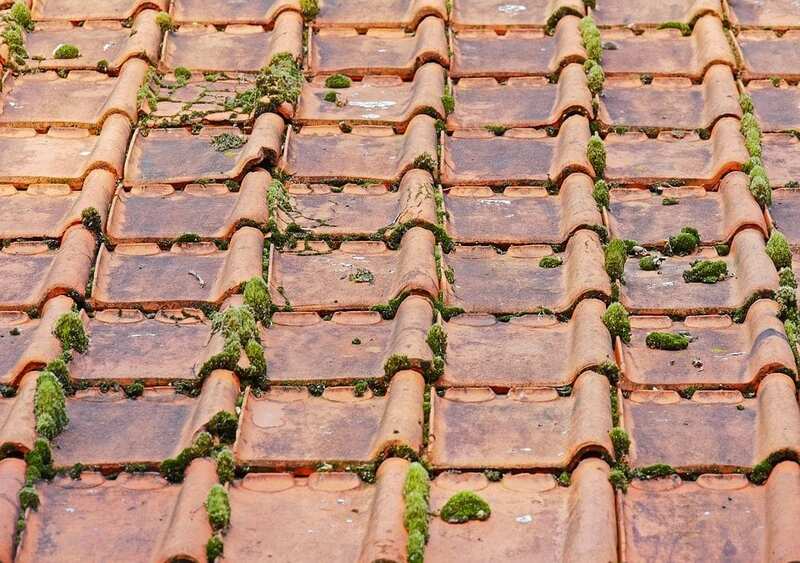 You may have a few unwanted plants on your roof and moss that grows on the roofing materials and detracts from the curb appeal of your home. Maintaining your roof and knowing when to replace it can reduce the risk of damage that occurs inside of your home. You can have peace of mind knowing the best time to install a new roof and increase the overall appeal and value of your residential property. You’re better off replacing your outdated roof now instead of waiting until it proves that it can’t withstand a heavy storm. Oasis Home Inspections offers Roof Certification Inspections and Wind Mitigation Inspections that may be required by insurance companies, along with other home inspection services. Gain the knowledge to keep your home in good shape and request an inspection today!